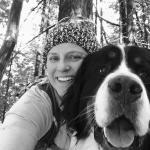 Dr. Pam graduated from UC Davis School of Veterinary Medicine in 2002. Prior to veterinary school, she attended Santa Rosa Junior College and then finished her bachelor's degree in Animal Science at UC Davis. Dr. Pam has practiced large and small animal medicine since graduating and enjoys both equally. 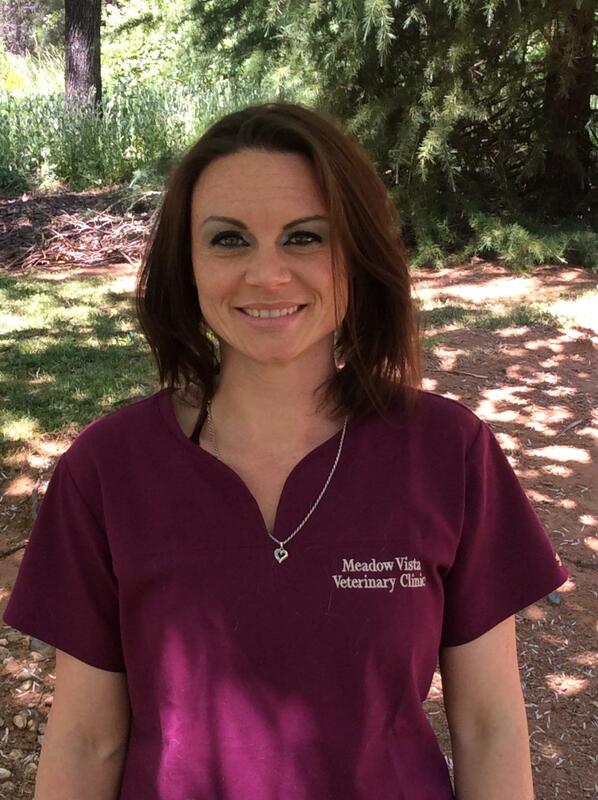 She has been with Meadow Vista Veterinary Clinic since 2004 and has owned the clinic since 2007. Dr. Pam loves making a difference in her patients and clients lives. Dr. Pam and her husband Roland have been married for 24 years and have two children, Roland Jr. ( Little Ro), and Alexandra (BooBoo). You will often find them at the baseball or softball fields, working around the house, riding horses, hiking, or traveling. Additional family members include 2 horses: Baby and Rosie, 1 dog: Opie, 2 cats: Kink and Tino, chickens, and many guinea hens. 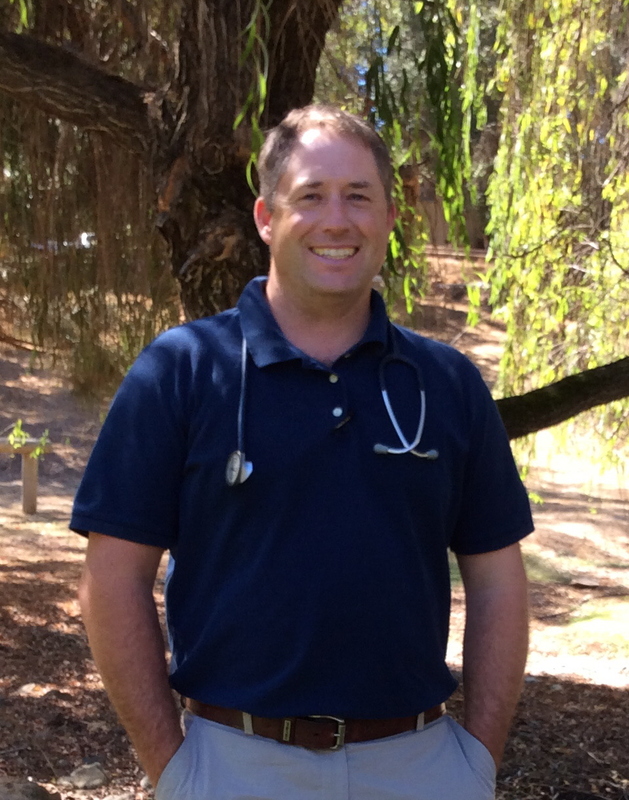 Dr. Joe has graduated from multiple institutes of higher learning including UC Davis School of Veterinary Medicine in 2010, Columbia Junior College (where he met his wife Jen), and CSU Chico, where he completed a degree in Agricultural Science, with an emphasis in Animal Science. He and his wife, Jen, have two boys, Derek and Eli, an old yellow dog named Sarge, and a calico cat named Callie, who only likes Jen. When not in the office, Dr. Joe enjoys spending time with his family outside and is looking forward to the future as his boys are getting big enough to start going on hiking and fishing trips. Our office manager Natalie, began at Meadow Vista Veterinary as an R.O.P. student, being hired on full time in November of 2007. She grew up a Meadow Vista local, and has a heart for the small town atmosphere, where everybody knows their neighbors. Natalie is married to Steve, and together they have two human kids: Hunter and Ava. Their fur babies include two dogs: Duke and Siggy, and one cat: Kali. In her spare time she enjoys horseback riding, hiking, reading and playing with all her kids. KB has worked at Meadow Vista Vet sporadically over the last couple of years. She began as a receptionist, but after spending a summer in Alaska, and taking time off after having her first baby, she is happy to be back at the vet in her new role as Marketing Manager. She holds a Bachelors Degree in Communications from Southern Oregon University. KB and her husband Derek have been married for three years, and are ecstatic to welcome home their first baby, Jackson, who was born in September. The Bivins' clan enjoys all manner of outdoor adventures and during most of their spare time can be found in the woods or on the river. KB loves good movies, yoga, hiking, and overweight animals. Rachel joined our team in September of 2017 and has worked in the veterinarian field since she was 19 years old. She grew up in Sonora, California, near Yosemite, and has been living in the Sacramento area for the past five years. Rachel's hobbies include hiking, live music, and visiting the coast. She has one dog, named Grimm. Sylvia is our lab assistant and receptionist, she works closely with the team to create a home away from home for our furry friends. Sylvia believes that we have an important job to be advocates for our kiddos that can't speak for themselves, while also creating as much of a fear free experience as possible. She has worked in the veterinary field since 2006 and joined the MVVC family in May 2017. Her hobbies include hanging out with her dog Rosie while teaching her some fun new tricks and spending time with her family. Cerena is our surgery assistant and groomer. She started working with us in August of 2015 as a groomer and liked us so much she started doing assisting work when a position opened. She has been working with pets since 2001. Her career began with pet sitting and boarding and has since expanded to include grooming. She loves animals and has a special spot for older, rescued animals. She has her own menagerie at home with chickens, goats, a pony, and three dogs: Nitro, Blu and Titan. Outside of pets, she has two kiddos of her own and likes hiking and photography. 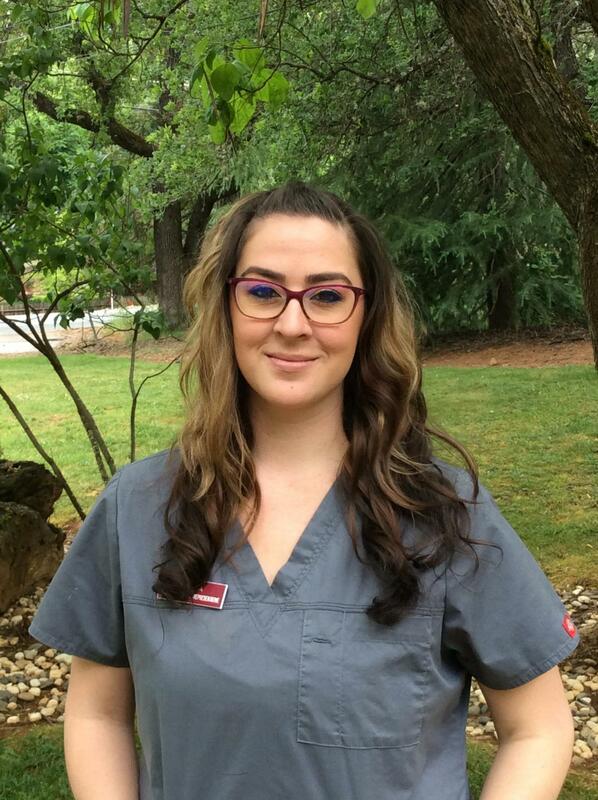 Krissy is our Licensed Veterinary Technician, and she started with us in February of 2018. 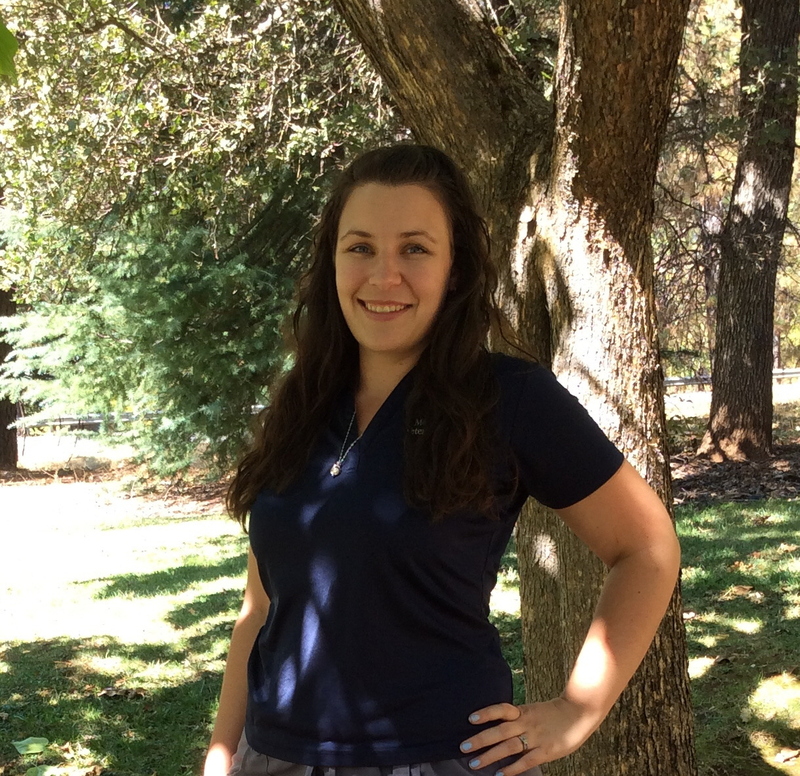 Krissy completed her Undergraduate degree at CSUS and then went on to acquire her Certification for Veterinary Technology at Consumes River College. She holds a California State license as a Registered Veterinary Technician. Krissy's family resides in the Sacramento area. She is a dog mom of two mini doxies, named Lady and Bailey. Her hobbies include road trips, camping, concerts, scrap booking, and horseback riding. Dani is our kennel attendant, she also can be found assisting the doctors or other technicians. She is a very busy college student who is studying animal science at Sierra College and helping take care of our Meadow Vista Vet patients.